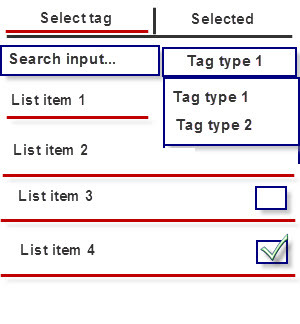 A user can select multiple items from different tag types. The checkboxes allow multiple selections of items from the list. 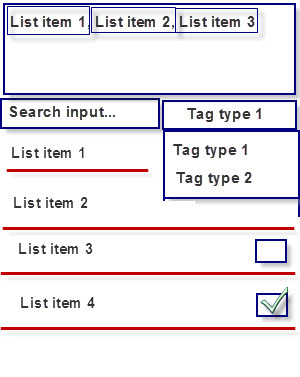 When Tag type 1 is selected from the spinner, one list is shown and a user can select several items from it. When switched to Tag type 2 - another list is shown and in the same way a user can select also several items from this list. Which is more suitable to my task? Maybe there's something that I haven't through of. I think that you almost have figured out your answer. 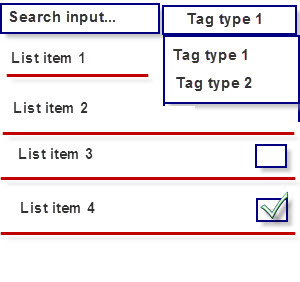 From a usability perspective you have to show what the user can reach (tag names) but also provide feedback that he/she can select list items from others tag types. 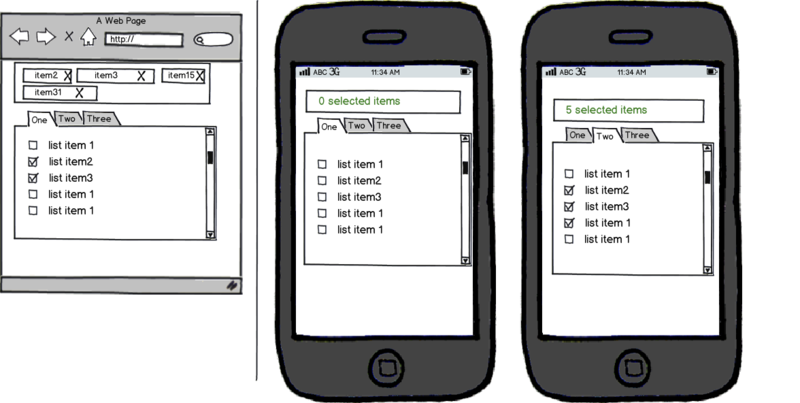 I think a combination of both would be great on large screens (a tabular table, and a space "selected items"). But on mobile we don't have so much space so you could use a selected items heading (the feedback) followed by tabs (the "what can I reach"). Not the answer you're looking for? Browse other questions tagged multi-selection drop-down-list tags deletion or ask your own question. Icon to show a checklist where only some of the items are selected? Can a drop down have a list of items where only a few can be multi selected and the rest only selected once? How to represent selected items in a list?